February 8, 2019 – The National Academy of Engineering has elected Ann and H.J. Smead Aerospace Engineering Sciences professor Penina Axelrad and alumnus Dereje Agonafer (AeroEngr ’72) as new members in 2019. Election to the prestigious academy is among the highest professional distinctions bestowed upon an engineer. Academy membership honors those who have made outstanding contributions to engineering research, practice or education, which might include the pioneering of new and developing fields of technology, making major advancements in traditional engineering fields or developing innovative approaches to engineering education. The NAE elected 86 new members and 18 foreign members to its 2019 class, NAE President C.D. (Dan) Mote Jr. announced Thursday. This brings the total U.S. membership to 2,297 and the number of foreign members to 272. The NAE highlighted Axelrad’s work on the application of multipath GPS signals to improve satellite navigation and new approaches to remote sensing in making the election. Axelrad is the Joseph T. Negler Professor and immediate past chair of the Smead Department of Aerospace Engineering Sciences. Since joining CU Boulder in 1992, she has distinguished herself through her commitment to high-quality research, dedication to education, and extensive service and leadership. She’s been deeply involved in the vision for the college’s new $100M aerospace engineering building and helped to organize the multi-university Women in Aerospace Symposium on our campus in 2017. Axelrad was recently awarded a grant from the U.S. Air Force Research Laboratory related to position, navigation and timing challenges in small spacecraft and she currently leads a Department of Education GAANN (Graduate Assistance in Areas of National Need) program focused on growing the representation of women and underrepresented minority students in the aerospace field. 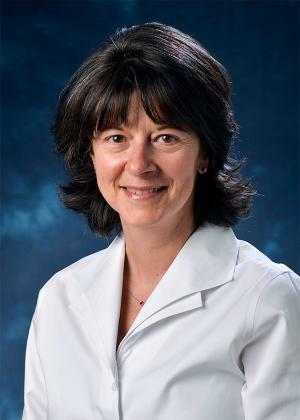 Axelrad earned her PhD in Aeronautics and Astronautics in 1991 from Stanford and joined the faculty of University of Colorado Boulder’s Department of Aerospace Engineering Sciences in 1992. She served as chair of the department from 2012–17, where she oversaw a major expansion of department programs, industry partnerships and opportunities for students. Axelrad is the 12th active faculty member, and 22nd overall, in the College of Engineering and Applied Science to be elected to the National Academy of Engineering. In addition to Axelrad, CU alumnus Dereje Agonafer (AeroEngr ’72) was elected. Agonafer is an emeritus member of the college Engineering Advisory Council and received the college’s Distinguished Engineering Alumni Award in 1998. He is presently a professor in mechanical and aerospace engineering at the University of Texas Arlington. Agonafer earned a degree in aerospace engineering from CU Boulder in 1972 before earning his master’s degree and PhD in mechanical engineering from Howard University. Agonafer spent much of his professional career at IBM before joining the faculty at the University of Texas at Arlington in 1999, where he has advised more than 200 graduate students and published 200-plus papers. He now holds the title of Jenkins Garrett Professor and leads two research centers. His research focuses on electronic packaging and thermal/thermomechanical management of electronics. A recipient of numerous awards recognizing his contributions to the field, Agonafer became a fellow of the National Academy of Inventors in 2017. Since graduation, Agonafer has remained closely involved with CU Engineering, earning the Distinguished Engineering Alumni Award in 1998 and serving on the dean’s Engineering Advisory Council.